One look at Freshhh.net, the talent acquisition program by international oil and gas company MOL Group, and you would think you’re in the midst of some form of new computer game. Smart graphics and a look of a challenge about it – and it is. It’s a new form of what could well be a regular player in the recruitment, employer branding and graduate scheme marketplace: the competition. Like some potential merging of TV programmes where Apprentice-like candidates come together to earn the right to a job opportunity or where entrepreneurs come and pitch their business idea / venture for funding and support – Freshhh lets people be the oil tycoon working to build a fabulous business venture. There’s even team-based cash prizes for the winners but more so the chance to learn whilst showcasing; connect to purpose and build products / services; plus share experiences and build competence. 3 rounds, with teams battling it out online and in live finals, with a history of over 8 years of the competition; 76 countries have participated, over 250 universities and 15,000 students entered to make this something of an ongoing learning phenomenon. Much of corporate L&D (Learning & Development) has been locked into training courses. Built with great intent and delivered with much competence. Yet running alongside, and increasingly competing with, the core act of work we’re seeing a real shift to other methods not only occurring but being actively and strategically deployed. Charles Jennings now famous 70:20:10 model being one. 70 percent of learning happens on-the-job and / or people learn through doing. 20 percent is through the art of conversational exchanges (coaching and mentoring largely) with 10 percent being taught in rooms with flipcharts and handouts. web searching plus social network collaboration. I’ve long understood how much of what I’ve learned in life and a range of job-related roles was like this – experiential. I also found some classroom teaching frustrating, boring and ineffectual. I went on a week-long course once to learn an automator test script tool. I never got to use the programme. I went on a week-long course and was taught civil bankruptcy legislation and the trainer read from the manual for the entire week. Now this is why Freshhh excites me so much. The taught aspect – is largely online and then immediately relevant to the rest of the stages. The team aspect and then the competition gives everyone the chance to learn by doing. Together. Pitched into a realistic business scenario but able to let imagination and innovation fly and then be tested in a competitive environment with their peers and industry leaders. How they construct their ideas and pitches will be manifestation of all they’ve learned and then they’ll learn some more. With the responses and advice received during the Freshhh process. As MIT Professor Nicholas Negroponte says “learning by doing; peer to peer teaching and computer simulation are all part of the same equation”. That equation equals the acquisition of wisdom and experience. Not to mention the chance to be noticed for top roles in a fascinating industry. Ultimately this is learning in the thick of it. So we continue. And we’re still on Day 1 – Tuesday 19 May 2015! We’ve had Courage, Innovation, Transparency and Inclusion. How about a bit of positive rebellion, process hacking, co-creation and socialised, aligned learning & reward? Well that’s what we got..! When you think about the way we are at work, there’s a lot of room for compliance, conformity and common ways of being. Nothing wrong with that per se. We’ve developed codes, ways, methods, practices and largely they’ve been driven by science, research and the realisation that there are efficient ways of doing things. Except not everything needs a process, a norm or a fixed compliant route to completion. And that was Alexander Kjerulf’s point on social norms, overly compliant ways and the likes that have not prevented disasters; let toxicity continue to hold companies back and caused failures like the banking crash of 2007/08. Being a rebel – he says – is a way to avert disaster, bring creative conflict to situations, and create an energy source towards new, different, better. Yet this takes guts. Gets people a little scared. Maybe even gets you feeling like an outcast or fired. Yet how would we have new ways to work, services to offer and products to use come about if we didn’t have people willing to challenge a norm, disrupt a convention, hack a process? Having the FREEDOM to rebel gives it a whole new lease of life and makes it part of something to be activated rather than shut down. How can you unleash your positive rebels? And then came Menlo and Richard Sheridan. Author of Joy, Inc and Chief Storyteller. Oh my. I have an article stored up about the Menlo story but if ever there was a way to bring back the love to hiring, onboarding, learning, working and even leaving; Menlo has done that. Just giving the RIGHT people the responsibility and tools to help others; create great teams and engineer great services. The book is a must. And this guy is the most sincere, warm and appreciative leader I think I’ve ever met. So if you think Ricardo Semler’s Semco story is a one off, think again. Menlo is right up there and Rich Sheridan too. And as if the Menlo story wasn’t enough: we then had Tripp Kerr and the Productivity Associates (http://www.gotopai.com/) story. Changing the world through a tech support company might seem a bit grandiose but this is no ordinary tech support company where people have 4 main zones of operating : Our Tribe; Our Partners; Our Financials; and Our Community. These are people who take on board the principles of great customer service and communities and deliver with focus, collaboration and energy. Moving to another zone of support but this time humanitarian, educational and health support, Haiti Partners John Engle showed how compassion and a freedom-centred approach to working in not-for-profit arenas should be done. I think it safe to say not all non-profits are run in the spirit of the work they do but Haiti Partners really is the power in the people. Check out their story at www.haitipartners.org. Their learning and dialogue permeates all their work and they invite the wisdom of others at all times through their “spiritual nourishment of invitation” approach. Inviting others to help shape who they are and what they do. Personal strength and the power of a journey through the WorldBlu philosophy centred us on an individual design element. Teresa Lancaster from Hagie talked about the strength found in amongst others searching for more from being a leader and a freedom-centred design point of view. Slide of the day popped up on screen during Teresa’s talk: You are awesome, start f***ing acting like it. Chocolate. Brings out a reaction. Well Sweet Riot have an approach to making this which means they’re an 8 times WorldBlu accredited workplace. They run open-book management – people know where all the money goes in this system. Utter transparency by design. Sarah Endling shows how much passion and galvanized spirit is produced through being open. And then the can in the cupboard we all have WD40 – Garry Ridge is a no-nonense humanist. A man who has taken WD40’s brand strength and created people strength through self-organised teams under a maniac pledge. People report so much love (over 90%) for working at WD40 that their survey results into this area are an embarrassment of riches. WD40 is a tribe – deliberately – for that sense of belonging. Over 170 countries has Garry proving that micro-management just isn’t scalable. And learning moments thrive at WD40 – that is what most people would call failures or mistakes. WD40 is an organisation built on learning where once it was silos of information it is now fields of knowledge. It is doesn’t move and it should? WD40. If people want to give of their best there? Let management get out of the way. Dr Natalie Baumgartner brought us into the realms of how individual goals and collective planning weave together at Round Pegg – http://roundpegg.com/. The understanding of people’s perspectives on culture and that of alignment with the company is a critical conversation at Round Pegg. Fit, belief and success factors all come together in a harmonious approach to human endeavours. PHEW. So it’s easy right? Let people do; choose; design for themselves. This was like a rock concert with established and new performers bring their own sounds to a stage that was set for the sharing of freedom-centred design concepts. As master design guru Yeya Furukawa once said “design will save the earth”. Design, freedom-centred. 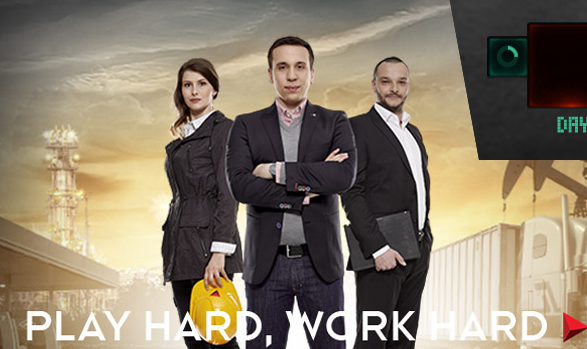 You could save the world from mediocre workplaces. I’ll start at the end of the day. A very splendid reception for the end of day 1 at the WorldBlu Freedom At Work summit. I talk with CEO, Founder and Freedom At Work superstar Traci Fenton. She very humbly and sincerely asks me what I thought of day 1 of the Summit. Just flew out of my head. I’d had time to digest the day. I’d had time to speak with old friends and new. I had time to speak with those who gave me some of the smartest, most wholesome and ingenious insight into the way an organisation can be run and those 3 words stood out to me. Rewind to 0800 this morning on a beautiful Miami morning. A rousing opening from Traci. Who is the epitome of someone being utterly dedicated and enthusiastic about not only today but the future to come when freedom at work becomes the new norm. During the period 2010-2013 (arguably the hit from what’s already known as the Great Recession) WorldBlu companies grew by 103% compared to 15% for S&P500 companies during the same period. During that same period, and in terms of companies being resilient and continuing to trade/exist the S&P500 companies (i.e. a top performing/grossing 500) folded at a rate of over 10% and WorldBlu companies ceased to be in only 4.6% (and even then some of this was smaller companies who simply closed down and moved onto other things/ventures not forcibly folded. Empirical evidence then that an approach which is about freedom-centred approaches, democracy in the workplace and a more people-centric way of creating and running an organisation stands up to those more traditional, controlling ways of the corporate way. As Traci Fenton says “it’s not all Kumbya”. There are now results that prove the economic viability of what some have dismissed as an ideology not practical enough to run a business by. Some – like me – don’t need statistics to back up what they already know and feel in their soul/heart/gut/mind (delete as appropriate to you). Yet here’s the thing that oozed from an opening and a showcase of people and organisations showing incredible courage, heart and ingenuity. Authenticity. Content. Energy. And when courage alone won’t see you through, Innovation helps your chances of being able to create impactful change. Stephen Shapiro gave a masterclass on the energy created and methods to adopt in scaling the mountain range of problems organisations and people face using the climbing skills of ideas, ingenuity and creativity. INNOVATION. When things don’t go as planned despite your approach being in the best interests of your people it can be hard. Super tough on sticking to your philosophies. Michael Tuteur of Votenet gave one of the most genuinely authentic, vulnerable and honest appraisals of being in charge when all are looking to you and you do your best by the playbook you know. Yet the playbook sometimes needs a rethink – and with his people in mind, Michael held out, adapted and created something from a new kind of freedom – not being protected by your leader but being part of the decisions that shape their world. A part of not apart from. TRANSPARENCY and INCLUSION. And the power question. And I urge you to try this. Traci’s gem of a way to deeply think beyond conventions and assumptions. Freedom-centred approaches have been built into the WorldBlu programmes and set out around freedom-centred mindset; freedom-centred design and freedom-centred leadership. Werner, Stephen, Michael and Traci gave us a range of freedom-centred mindset approaches. After all if our mindset isn’t pro-freedom, how on earth can we run a company in any other way than control and fear. Think about it. How much do you REALLY want to be free to be, think and do and how much do you want, need and trust others in your organisations to do the same? Controlism is an old technology. We’ve seen political attempts to control fail and in this opening up and more transparent, connected world we live in, controlism just isn’t a long-term sustainable approach. When we are free we demonstrate more accountable, responsible and spiritual approaches to what we do. We redefine who we are not on others’ measures but our own. We unleash more of our true selves and instead of playing games, live for the more humane ways of living, working and learning. A freedom-centred mindset is the most significant adaptation to our own approach that provides a new way of being for others around us. When we get this fully fledged we become open to new designs. Blog 4 will cover freedom-centred designs. A design for life. That’s authentic, is full of wise and inspiring content and is the source of abundant human energy. #Freedomatwork Summit WorldBlu – Blog #2 Zappos; What’s the secret sauce? There. That’s the clickbait sorted. But wait a minute. What if you could have a chat to someone from Zappos? What if you could hear about the Holacracy hyperbole but from someone who is SO in tune with the culture in that company, that talking about it to other people is THEIR JOB. So, what would you do if you needed healthcare and a job?. You’d end up as a Culture Evangelist at Zappos Insight. Well that’s Jon Wolcke’s story. An entertaining, insightful, energetic presenter – as good as any I’ve ever seen and I’ve seen a lot. Jon’s story is exemplary of what you expect to hear from Zappos. Jon worked in the contact centre and began to love the help he gave, and as more people got interested in things he did, he got himself tapped on the shoulder as the guide for the tours of the business attraction that was Zappos’ Vegas office. Now he gets to travel the world talking about the culture of Zappos. He’s a self confessed enthusiast for customer service and believes that a good decision on a pair of shoes that fit and make for comfortable wear or improve someone’s confidence, CAN change their lives. So the Zappos culture then. It’s unique to itself. It’s the thing that gets a lot of discussion though. And Tony Hseih gets a lot of traffic online as the one who sets the culture. But when asked of the CEOs in the room today “Are you the culture alone?” the answer was of course not. Tony did this when looking at the culture of Zappos as they continued to grow. He sensibly put the pen down on defining the culture and the values. He made that everyone’s job. And the results are now $2bn gross and year on year increase. All because a company puts people and culture as paramount. Jon’s definition of culture is pretty sweet: Attitudes, Feelings, Values & Behaviours that characterize and inform a group and its members. One of Zappos is Create fun and a little weirdness. It talks to that recognisable trait of individuals, difference, uniqueness of you. Jon’s analogy for getting the best from people was this. The way we work now is akin to delivering a powerpoint presentation someone else has produced and with acronyms that you don’t know what they are. Like the version of doing someone else’s work. We need to own our work. Build open & honest relationships with communication. The secret sauce of Zappos isn’t really a secret. a series of statements that bring into the mix a range of factors that define those attitudes, feelings, values & behaviours. There you go. The secret. You can take it all and apply it if you like. Except that’s not the point is it. It won’t be yours it’s Zappos. The culture of your workplace isn’t some boxed-up thing you can copy. Which is the point Jon was making. Zappos wants to do stuff the Zappos way not the Google way or the WD40 way. They just happen to be insatiably driven to it which is probably why they make headlines at every turn. 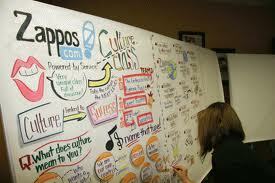 So what defines who you are and what you do at Zappos? Not employee satisfaction surveys but a twist to focus on culture reviews and surveys. Culture based recognition is also at play too. SO important is the culture that it is the measure of success and reward. And the BIG news is holacracy. A system to get rid of the problem of lame managers and instead increase the accountability and choices of the people who do the work. They key question around holacracy and the Zappos way is: do we serve each other? It’s an emerging process. It’s not long started to take shape. There’ll be acute interest along the way. And there’ll be a feature or two on this in the UK HR press from me. So watch this space. The killer app in customer service is this. Number one tool for making things great?. 1. Ask your own people “how can I help you?” and 2. Then listen. And do. Of course. #freedomatwork awaits. Great start to the event. How you make an event a showcase for the brilliance you want to unleash on the world. It is day 0 of a 3 day event for the quite extraordinary organisation that is WorldBlu. www.worldblu.com. I’m here as a feature writer, blogger, social media supporter and overall a believer and a friend to WorldBlu. Let’s begin with a little about WorldBlu but you can find more on their website. Think this: at work, people matter. Their views count and not just the board. Where involvement is one aspect of company survival and strive for better outcomes, impact and fiscal viability. Where leaders are not dominant forces but enabling sources. Where democracy is a product and an ethos of operating. Where people care about their working lives as much as they do their outside working lives and that care is reciprocal beyond a salary and benefits. Where the difference is the people and the people feel the difference. That’s my take on a freedom-centred™ workplace. I can also nail my colours to the mast as they say: I want to see freedom at work as a norm. Not (as Traci Fenton says it people think) at all a Kumbya kind of existence where unicorns roam and pixies spread little dust on the landscape. A hard edged business approach to the world of work that just happens to be sweet and smoothly centred. Humane. World Blu has researched, codified, and built ways to check and balance that and the good news is, there’s a great deal of insight to this ideology to prove it is worth it. If only people decoupled themselves from the norms of yore and unleashed the power of possibility. Knowing nods of academics and practitioners will point to this being chaotic and not good enough for a harsh world. My metaphor to you is that the most raging fires are often doused by foam. That softest of all things. Taming the fiercest forces of nature. Fight fire with foam. Anyway, that aside this is the first in a short series of blog posts from the WorldBlu Freedom at Work Summit. Excitable though I am, this hasn’t even gotten started yet and I’m already seriously pumped. So how do you put passion into play, practice into performances of perfection and produce positive impact to get your messages across in a clear, inspirational and impactful way? Here’s the start of that journey. Day 0. It’s preparation and rehearsal day. Heading along Pine Tree Drive, you get a feel for Miami. 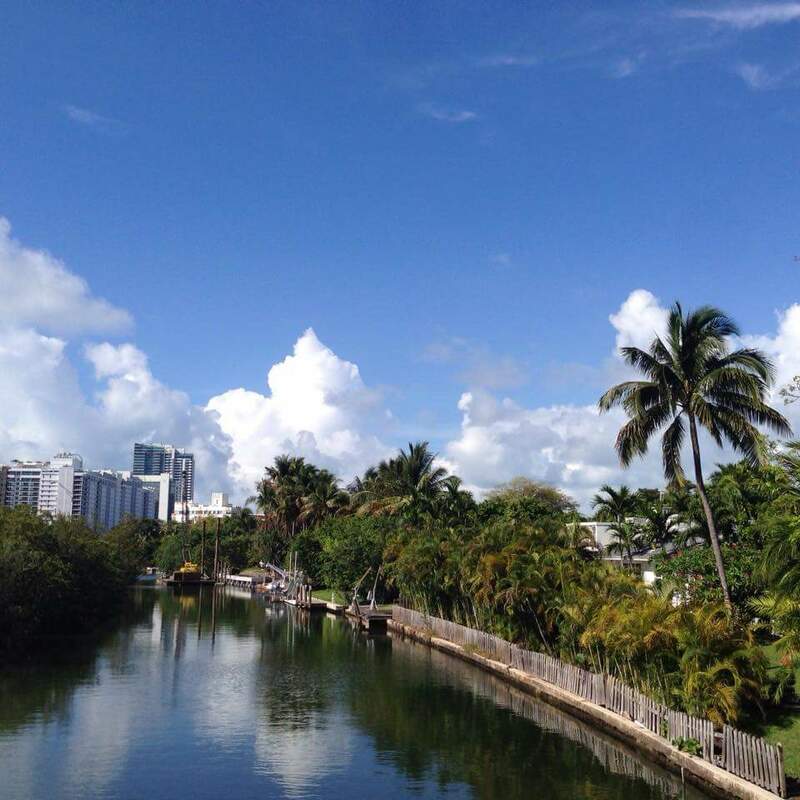 The art deco buildings, the bustling freeways and the swaying of palms gives it all away. And then you walk up to the New World Center and you realise this is a special place beyond your impressions of venues for conferences. The obligatory tour, the meeting of the sound engineers, the stagehands and the producer of the event. So we see a perfectionist in action. 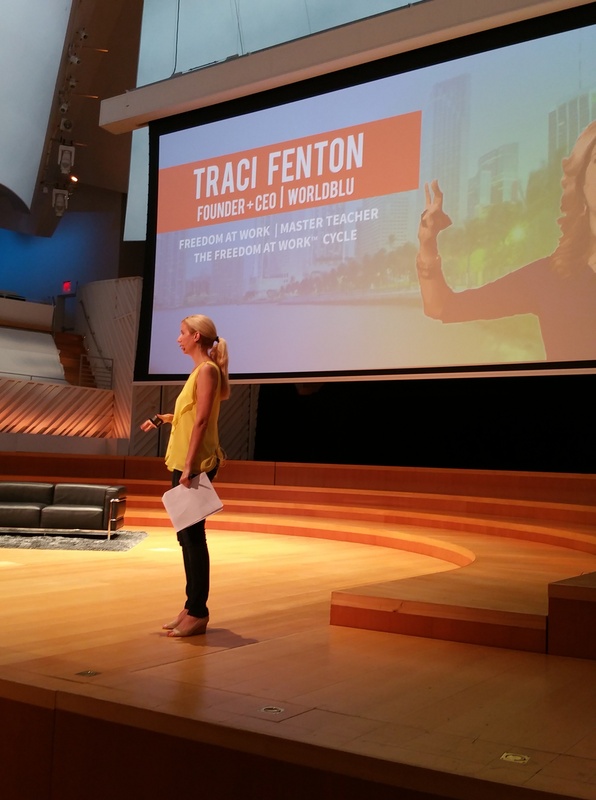 Traci Fenton as CEO of WorldBlu oozes class, genuine interest in people and an eye for what she wants. This is why passion, into performance into impact sprung out of me as a title for a blog post. Passion. Putting your every ounce of intellectual, conceptual and spiritual might into things isn’t easy. That’s why people do B grade things. They just don’t care enough, haven’t enough guile or belief and aren’t capable of computing well enough. No doubts with Traci and the team assembled here though. Committed and driven. Clear passion on display here. Not wild optimism. Performance. The planning into an event of this scale is obvious to see. Each meticulous aspect of speaker handling, presentational backdrop, audience comfort and experience show what a good event should look like in the “beta” stage. It’s clearly the little things that matter. The attention to detail on display is breathtaking and clearly hard to do – which is why you end up sometimes at lame events with poor handovers, bad speaker vibes and naff audience participation. Not here. Not on this show. Impact. Ultimately this is about the things people will feel as a result of being here. And know of course. Then they’ll go and do. But the impact is so evident here it’s not even stated. Belief. Inspiration. Information. There’s power to yield here and like a true professional that ought to be for the greater good and no-ones ego, or some questionable pursuit or some sales pitch. It’s staggering what goes into a production of this scale. The participants over the next 3 days are in for a real treat of TED style proportions. And whilst I’m at it, those of you unable to sample Miami’s art deco sights can experience a World Blu summit via a video channel akin to said TED phenomenon. Yes they’re being filmed. I will blog some of the content on here for you – as that’s what I’m here to be part of. I will also be writing features for some of the world’s more discerning People/Work/HR publications which should make their way to your tweet decks and magazine over the coming months. There’s something about impact which is clearly on display here. So I’ll leave you with this for now. What passion are you showing? How are you putting that into your performance and what impact do you believe is possible with that? Passion: Performance: Impact. Team WorldBlu all the way. See for me THAT’S the problem right there. It’s a thing, an event, part of a process, linked to stuff. Modelled, featured, tooled-up. makes many people recoil; freeze; tense-up. Affirming, positive feedback? Awesome – doesn’t even feel like feedback. Confidence-boosting stuff you hoped you were good at and others confirm you are (in non-sycophantic manner of course). If that’s such a good feeling then why do many of us react in that tensed up way when it’s time to “receive feedback”? Like being critical of others? Feedback is the perfect place for you then. You can simply acknowledge good performance and behaviours as “acceptable” and then really keep your place in the knowing realms of superiority with that little jibe at the one time they slipped on a deadline for something inconsequential. Whatever power game you want to play in this white collar version of gang culture, the feedback dynamic is the place you can assert yourself. Or like a conversational battle of beating chests or rutting of antlers, be talked down by the alpha player. Want to justify your leadership credentials? Then do the feedback thing to assert that. Whether people need it, deserve it or it’s appropriate to do so. You can show your merit in this game, like a pre-Gladiatorial contest without the need to formally don the armour. But really – what is your intent for feedback? Why make such a big deal out of it? I’ve thought long and hard about my own need for it and the reactions I’ve had about it. I’m incredibly self-critical but clearly, like all of us, I’ll let some stuff slide. Does getting feedback on the things I let slide help me do them any better or provide me with inspiration to “move the dial”? No. Here’s why I think so. Feedback to improve, to overcome, to help, to boost, to grow needs to be matched with the person’s intent to want to improve, overcome, be helped, boosted, grow in the areas and topics and behaviours that matter to them. Many moons ago I was rubbish at doing the filing. This was when paper records were king. I didn’t do it that regularly. I got a load of feedback about clear desks and all that. I had loads of feedback about organising my day; etc. I had feedback saying it was a key objective of mine and was letting my performance levels down. My intent was to get as much real work done and do my filing episodically as it wasn’t as important. No matter what feedback or incentives I had nothing improved. I got sick of the predictability of the feedback. I loved seeing the manager struggle to find examples of any damage done by the weekly build up of files in my tray or the impacts of only doing it once a week. Attempts were made at this but there was always a way people could locate a file if it wasn’t in the drawer. I’d processed something on that case earlier that week “it’ll be in his tray I bet”. And it was. I wasn’t trying to create an alternative filing system but one tiny extra step for someone OCCASIONALLY was not enough to force me to change my habits. If you could anything about your lack of enthusiasm for filing what would it be? I wanted to trade something. My time/effort/skills whatever with someone who in turn, would take a task I didn’t believe in or want to do. Turns out Jane-Marie was willing to do it for me every day if I helped her learn more about wider work areas as she wanted to get promoted. I was THERE. Filing done everyday. Jane-Marie and I even did the filing together as we chatted about what she wanted to get from the world and the roles on the team I was part of. NO amount of feedback moved me on something so simple and trivial. LOTS of attempts at feedback simply created tension and even arguments over what the role of a team leader was. When someone stopped trying to GIVE me feedback and instead left that out and gave me a chance to create something, only then did change take place. Feedback is by definition mechanistic circular causality. I felt I was on a loop of this. Round in circles just looping back. When you go to Wikipedia for its definition of the word feedback it refers you to a section around behavioural reinforcement and personal feedback. Behavioural reinforcement. When I was invited to reflect, think about behaviours I wanted to reinforce, of things I believe would be more helpful in getting the task done and me setting my own incentives and intent to overcome – I changed. So feedback isn’t always and may indeed rarely deliver on its purpose: to affect change in someone. Next time you want to “give someone feedback” why not invite them to a conversation about anything they want to reflect on, reinforce and reinvent. You’ll probably end up sharing stuff that might look and feel a little like feedback so this isn’t window dressing. Hold the space; give them the airtime and get them excited about better. As far as I’m concerned with feedback, less really is more. Stop making a big deal out of it. Now where’s that $hit sandwich someone made me?